Supreme Court of Pakistan will resume hearing of Asghar Khan petition on Monday, Media news reported.The bench of apex court is headed by Chief Justice Iftikhar Muhammad Chaudhry and comprising justice Khilji Arif Hussain and Tariq Parvez. In previous hearing, the court sought report from Intelligence Bureau (IB) regarding alleged misuse of Rs 290 million to dissolve Punjab government in 2009. SC ordered the Attorney General to present Mehran Bank inquiry commission report in next hearing. 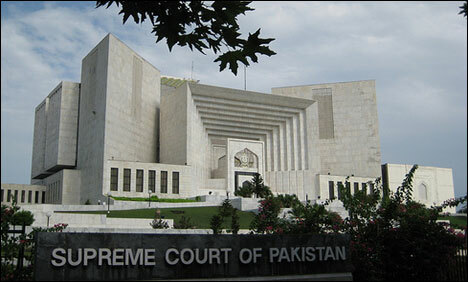 The apex court had also directed counsels’ of General (retd) Asad Durrani and Younis Habib to submit their replies.